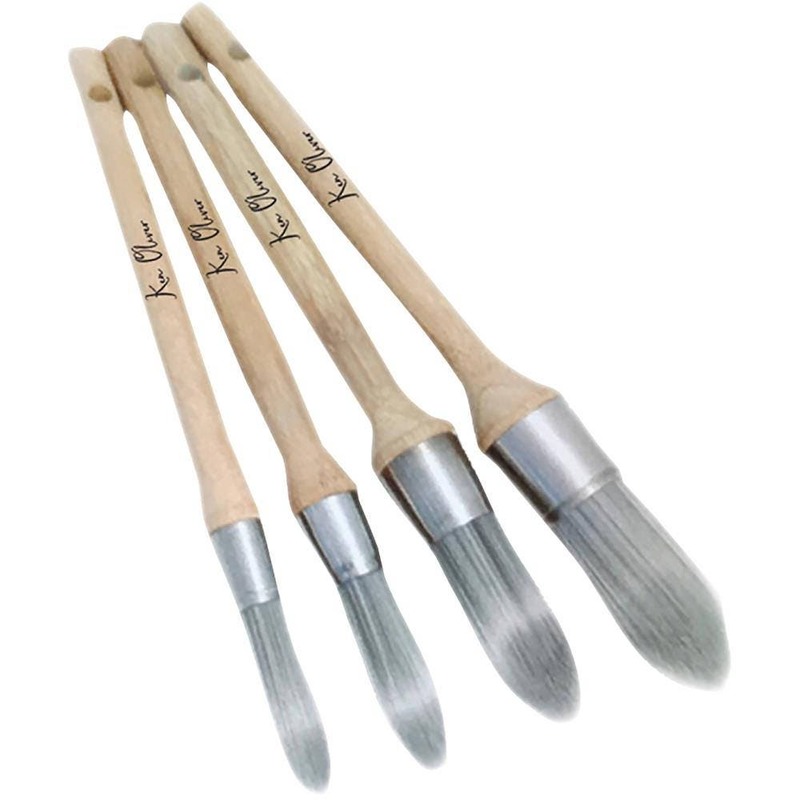 Ken Oliver's Set of 4 Stencil Brushes. Synthetic, with a stainless steel collar. Bamboo handles. 4 brushes measuring 9 in, 9 1/2 in, 10 in and 10 1/2 in. 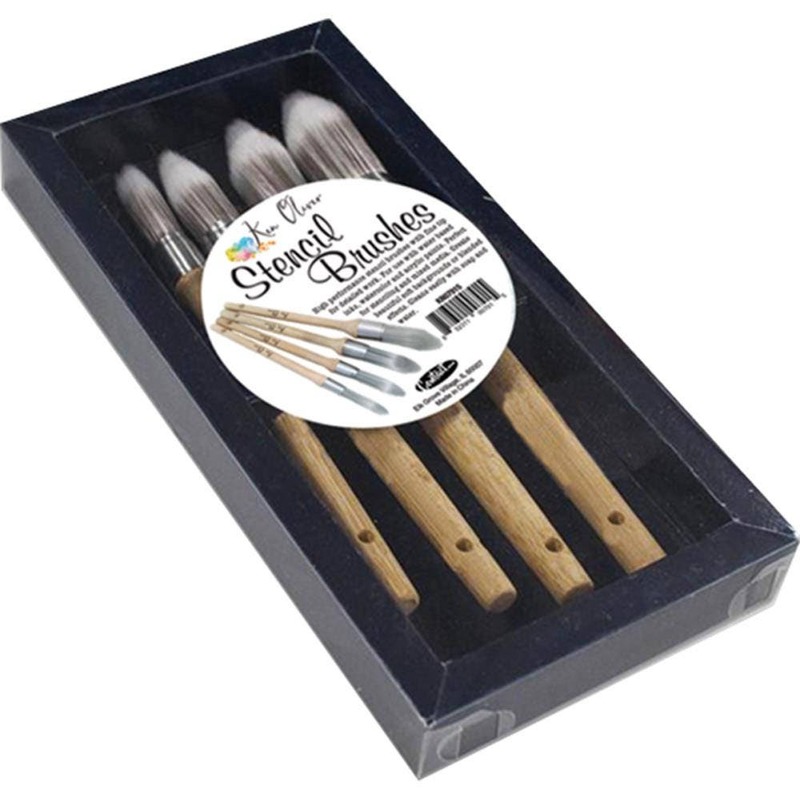 Ken Oliver's stencil brushes have a pointed tip with super-fine, synthetic bristles, to give a clean and stunning finish to your work. Use with ink or paint, through stencils or directly onto your artwork. These Stencil Brushes are brilliant! And not just for stencils. 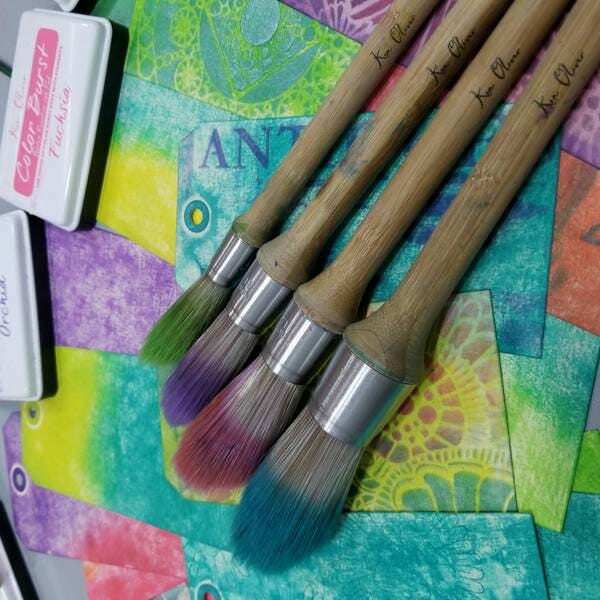 You can jump in and out of different ink pads with the same brush, too" Use the Ken Oliver's Stencil Brushes for Soft Color or Very Vibrant Color using your Colorburst Stamp Pads or Colorburst Powders or other Coloring Mediums. 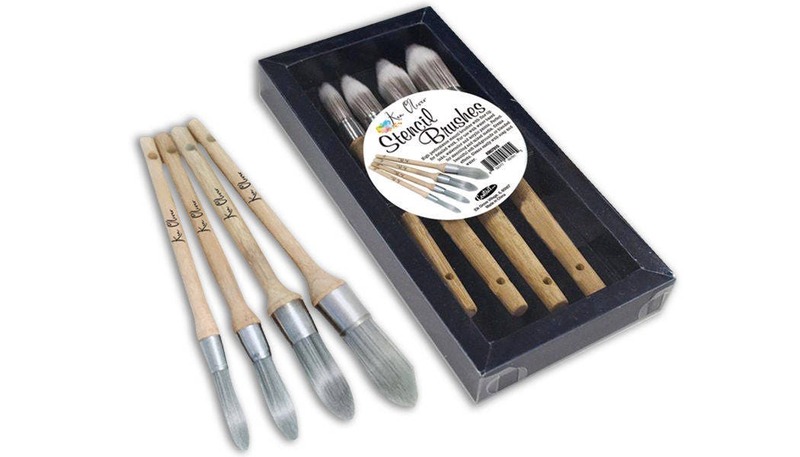 These Stencil Brushes give you Unlimited Crafting Possibilities.